A first half strike from Gary Mackay-Steven was the difference between Aberdeen and Hibernian at Pittodrie on Friday night. 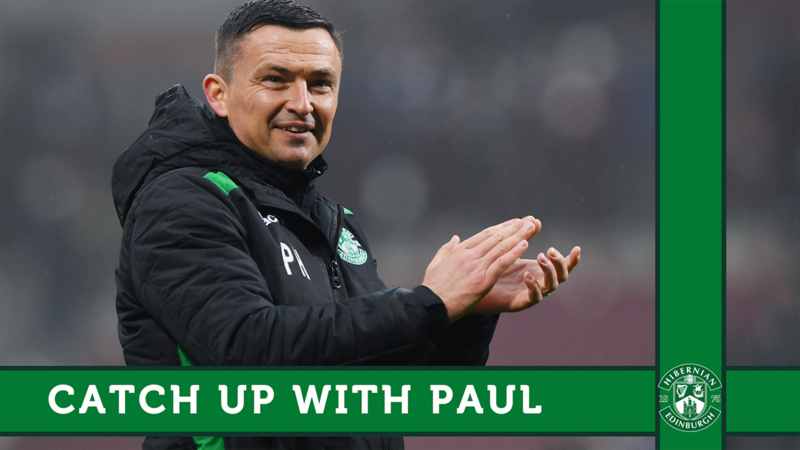 Neil Lennon made four changes from the defeat to St Johnstone, with Ryan Porteous, Darren McGregor, Vykintas Slivka and Flo Kamberi replacing Steven Whittaker, Daryl Horgan, Emerson Hyndman and Marvin Bartley. Hibs were dealt a blow before kick-off with Bartley withdrawing after struggling to shake off an ankle knock, with Sean Mackie replacing him on the bench. The first half was hardly a classic, with the swirling Pittodrie wind making it difficult for both sides to get the ball down and play. Set-pieces were the only real chances in the opening exchanges, with Mark Milligan and McGregor having efforts cleared and Stevie Mallan seeing a free-kick fly over. On 40 minutes the home side opened the scoring with the only real piece of quality in the first half. Mackay Steven latched onto a loose ball before cutting inside and driving low past Bogdan from outside the box. The second half saw an improved performance, with Mallan again proving a threat from corners. His low drive was sliced by May, and a second corner was headered just over by Milligan. The Aussie then intercepted a pass in the Dons half and played through Kamberi, who skipped past Lewis but fired over. The wind was still swirling, and on the hour the ball carried over the Hibs defence, with May dinking over Bogdan, before McGregor recovered to clear. At the other end a Slivka cross was deflected just past the post with Kamberi lurking, before the Swiss striker miscued a similar cross from Boyle. 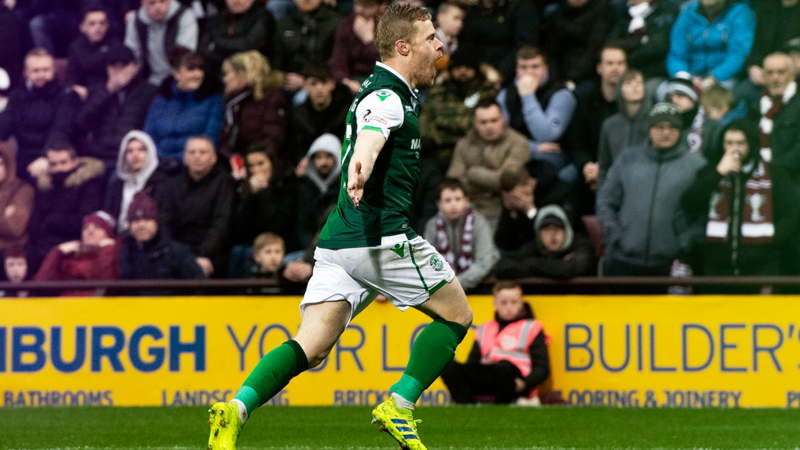 Hibs tried to pile on the pressure late on but couldn't carve out any clear chances as Aberdeen held on for the three points. Aberdeen: Lewis, Logan, Devlin, McKenna, Lowe, Shinnie, Ferguson, Mackay-Steven (Ball, 90'), McGinn, May (Cosgrove, 86'), Wilson (Anderson, 71’). Subs: Cerny, Considine, Gleeson, Wright. Hibernian: Bogdan, Ambrose, McGregor, Porteous, Boyle, Slivka (Horgan, 78’), Mallan, Milligan, Stevenson (Mackie, 89'), Kamberi, Maclaren (Allan, 78’). Subs: Marciano, Whittaker, Mavrias, Gullan.